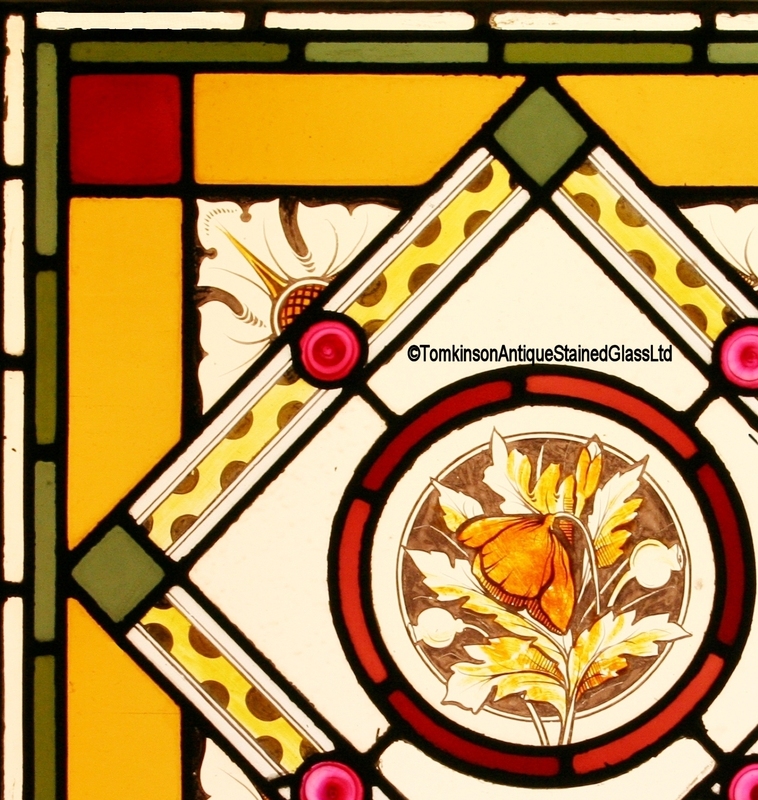 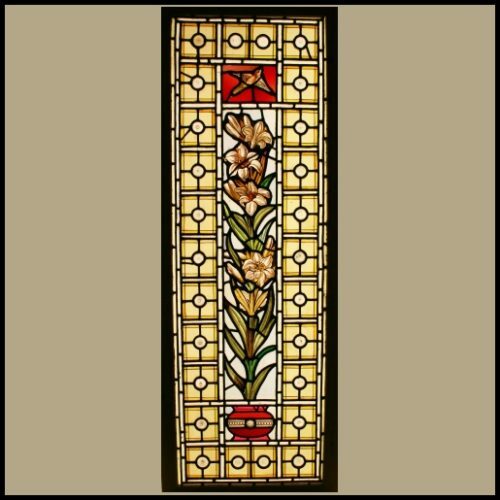 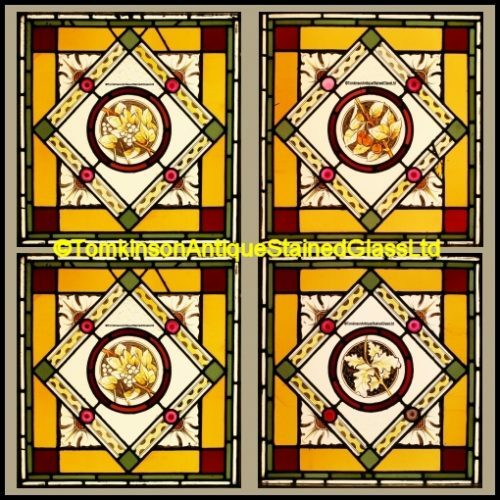 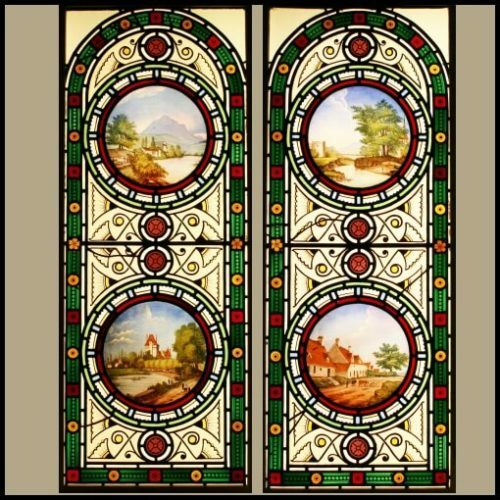 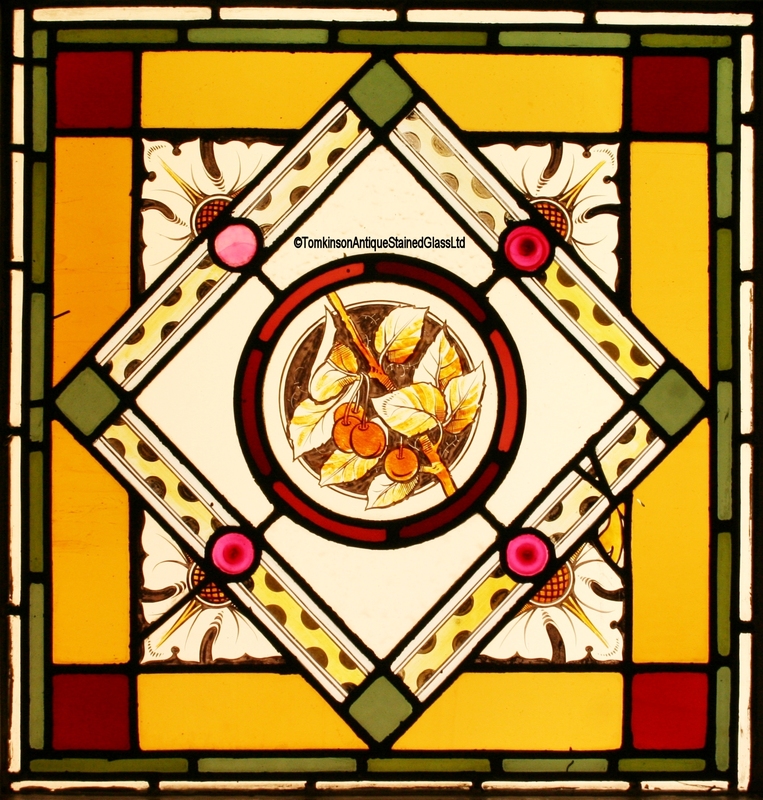 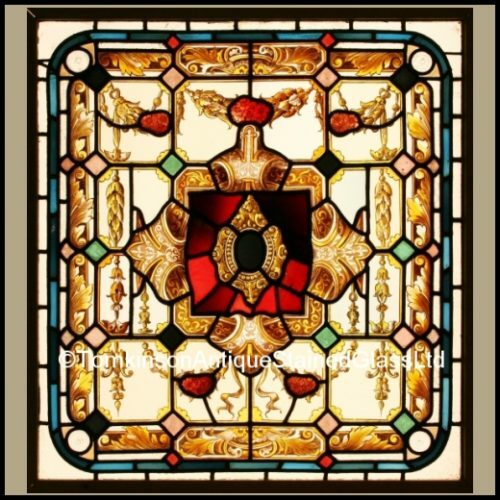 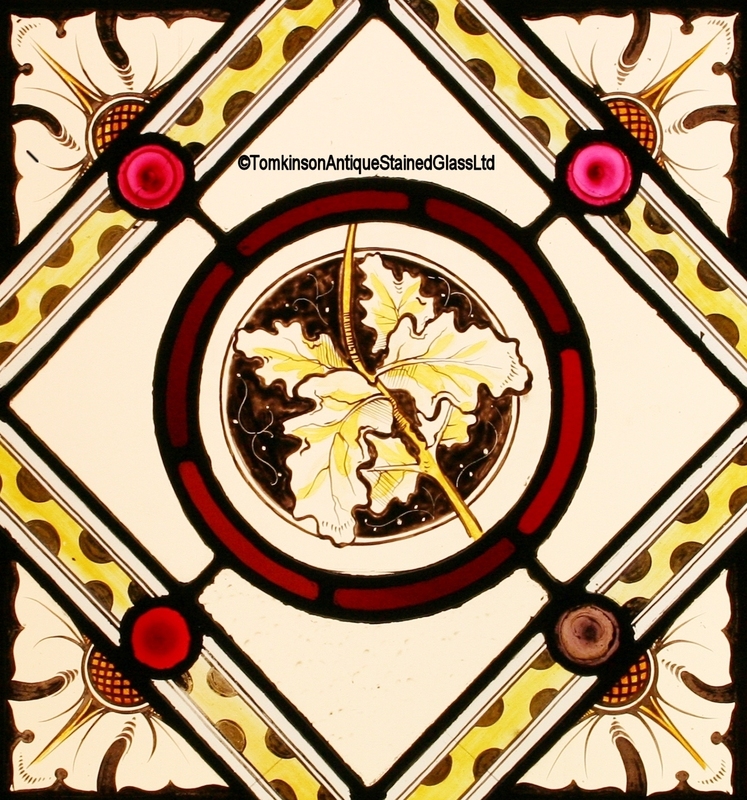 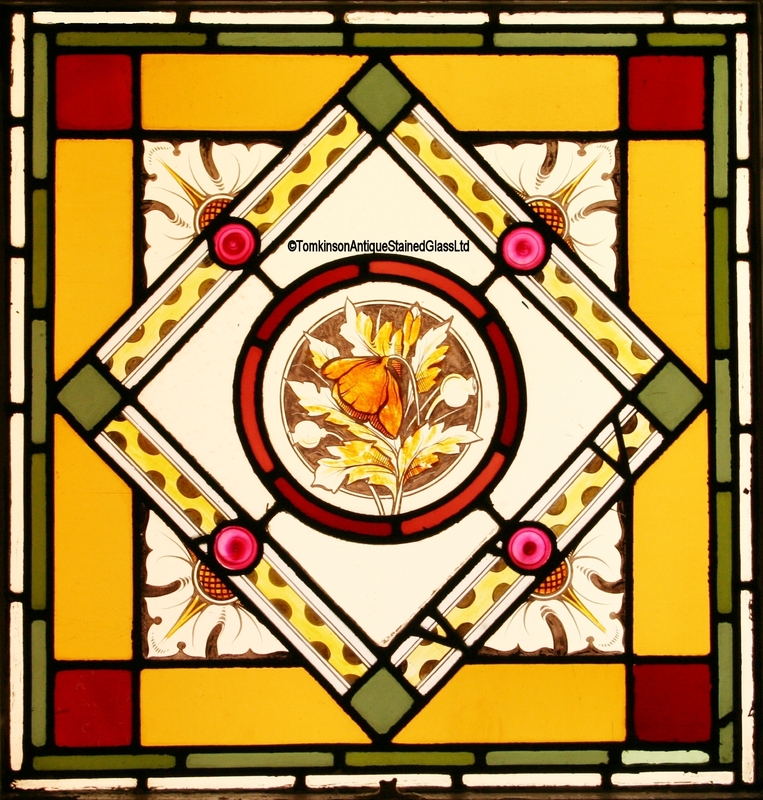 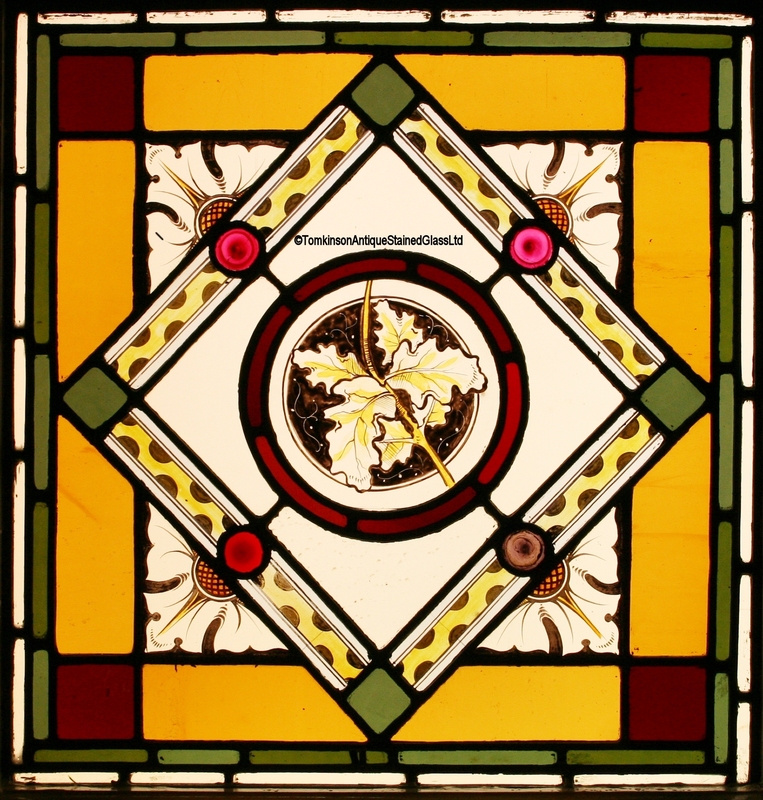 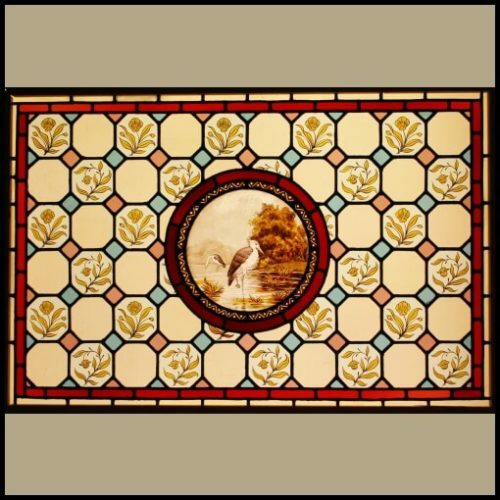 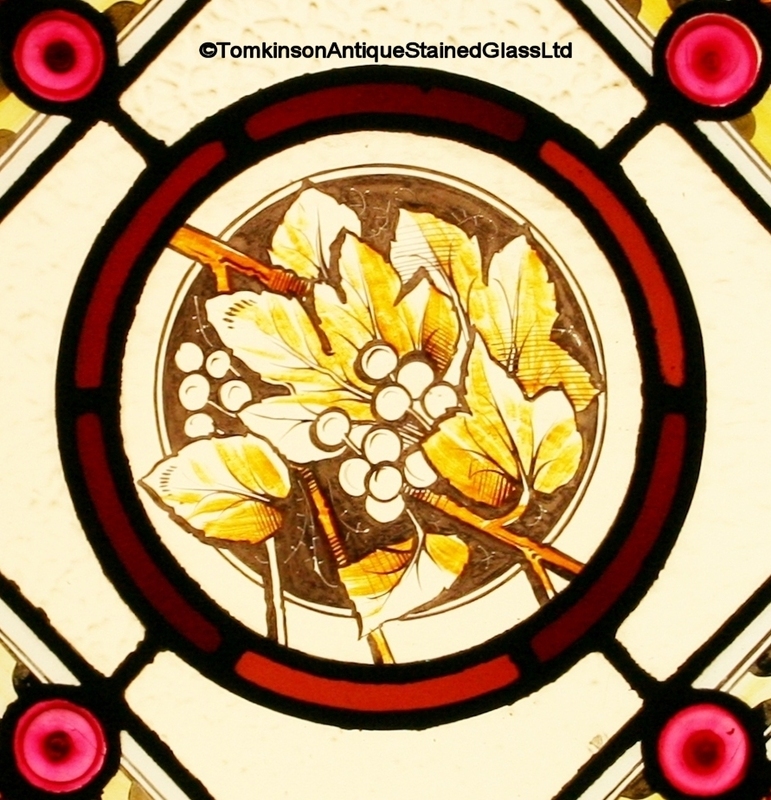 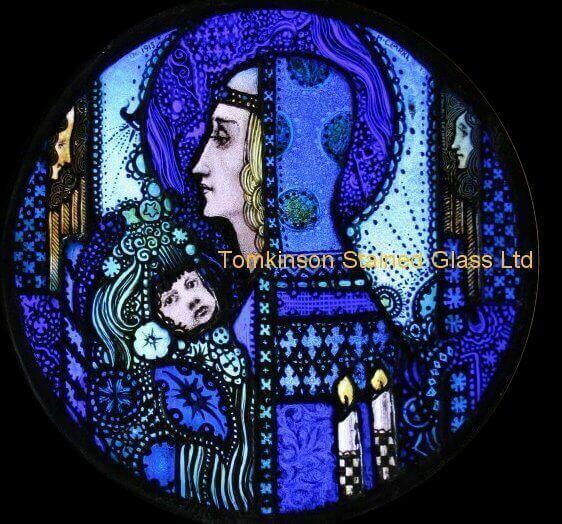 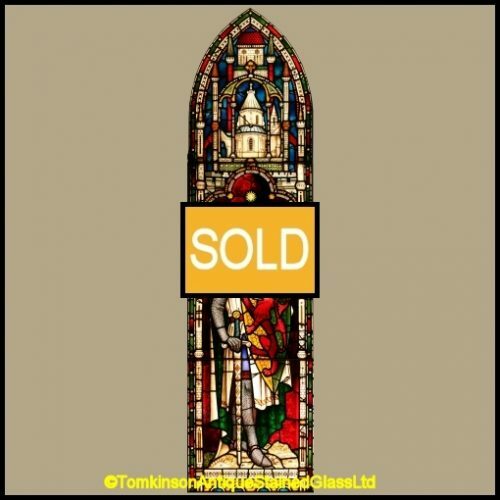 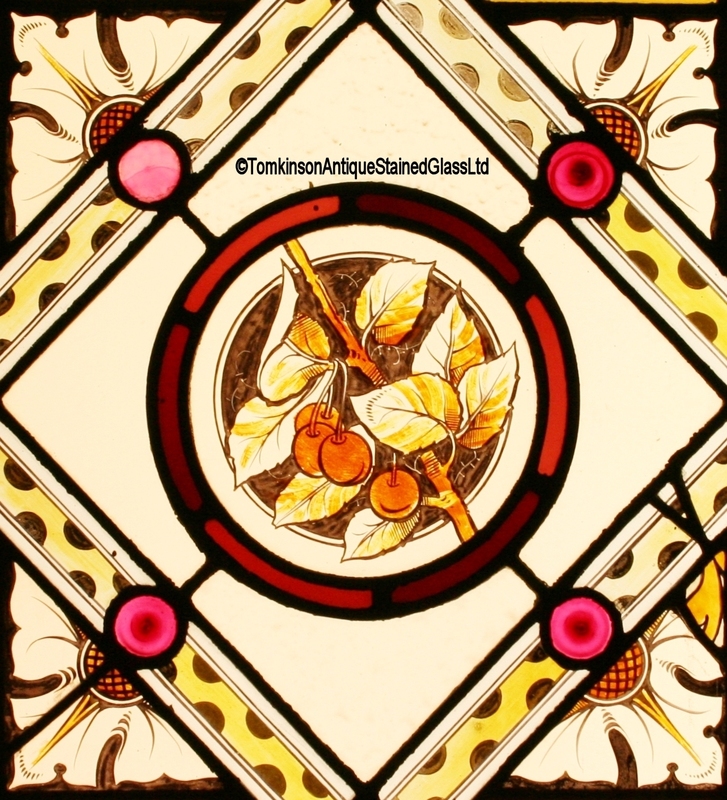 4 Antique stained glass windows, each leaded with coloured glass and central roundels hand painted depicting Leaves, Berries, Cherries, Poppy Flower. 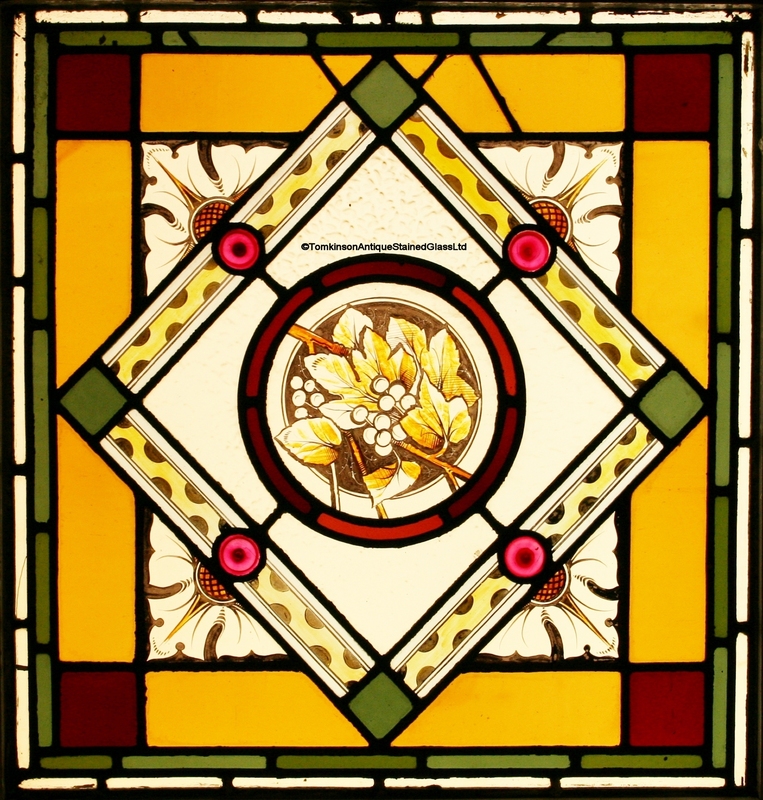 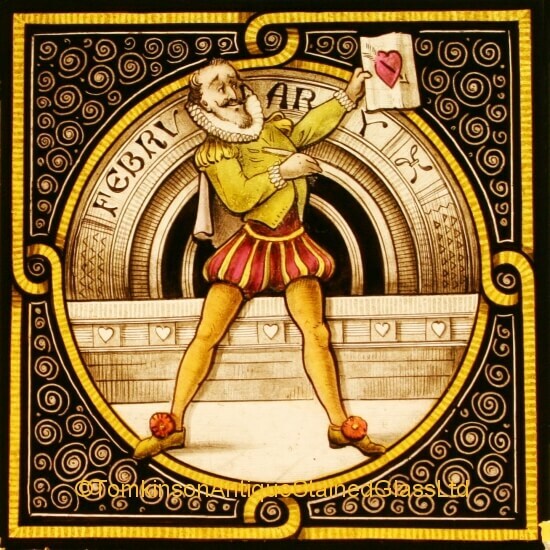 Around are decorative stylised Flowers and borders. 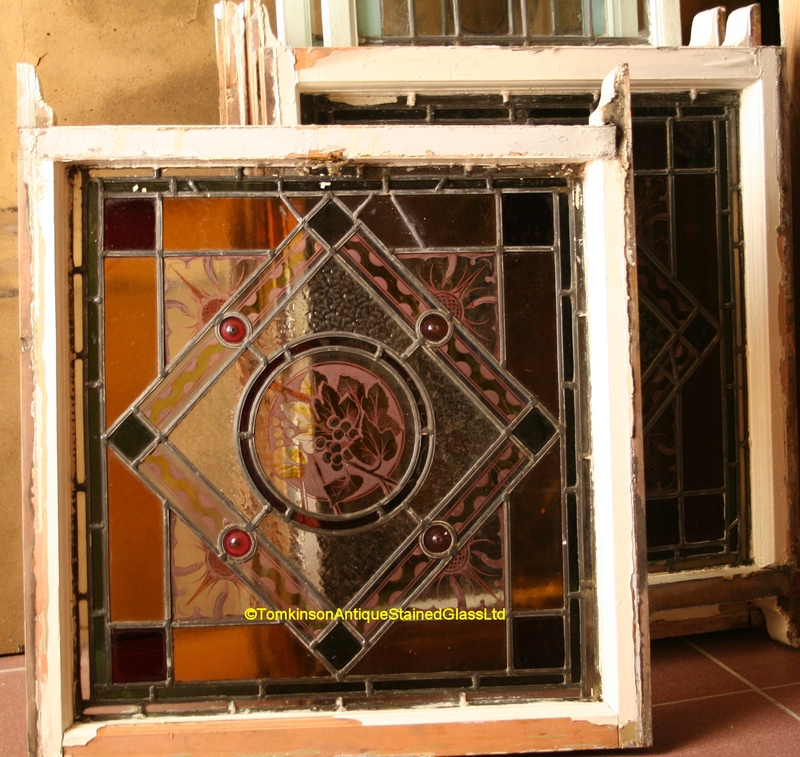 Slight restoration which has kept the panels on original condition, all in their original pine frames.